A House committee voted along party lines Monday to scrap right-to-die legislation in the District of Columbia, dealing a blow to local advocates and officials. 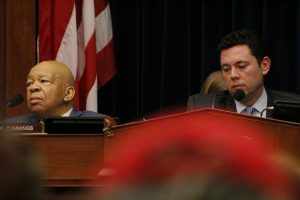 The House Committee on Oversight and Government Reform voted 22 to 14 to block the implementation of D.C.’s Death with Dignity Act, which allows terminally ill patients to obtain medication from physicians to end their life. Mayor Muriel Bowser signed the measure last December. But Congress has authority to approve D.C. laws, though it almost never invokes its “home rule” power to block local legislation. The full House and Senate must pass the bill and have it signed by President Donald Trump by Friday to stop the Death with Dignity Act from taking effect in D.C. Sixty-three Republicans have co-sponsored the measure, signaling it will likely also earn support in the full GOP-controlled House. But the bill to block the legislation was nearly derailed after the Oversight and Government Reform Committee’s first roll call vote on Monday night resulted in a tie, adding a surprise twist to what was expected to be a routine markup. The initial vote forced Chairman Jason Chaffetz (R-Utah) to send for more members of the committee to break the tie. Soon after, several Republicans arrived to back the bill in a second round of votes, sending it to the full House. As of Tuesday morning, a vote on the House floor hadn’t been scheduled. The committee vote dealt a blow to local officials and advocates who backed the right-to-die legislation, though some held out hope that Senate Democrats would filibuster the bill. Monday’s vote also rekindled the long-running debate about congressional control over Washington, D.C.’s affairs. At a news briefing last week, White House press secretary Sean Spicer said the administration had not yet taken a position on the Death with Dignity Act and other local D.C. laws that could come before Congress. Rep. Val Demings (D-Fla.) said she opposed the Death with Dignity Act but did not think Congress should override local laws. “I think we should not continue doing this to the people of the District of Columbia,” Demings said. 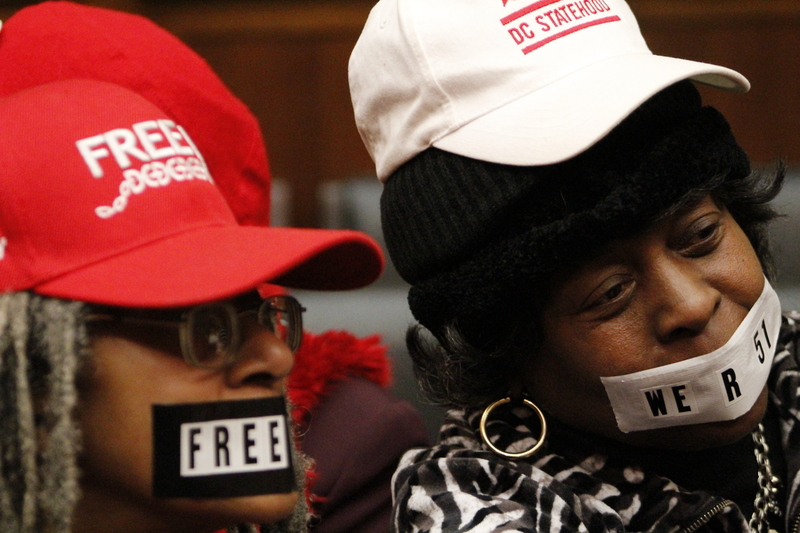 Several D.C. residents attended the markup with tape over their mouths to symbolize their frustration with Congress’ authority over local affairs. Joyce Robinson Paul, 68, shook her head as Republicans entered the hearing room to cast the second vote. “I do feel like we are making decisions that are far beyond our realm of moral aptitude,” Rep. Mark Walker (R-N.C.) said at Monday’s markup. Six states have passed similar laws that help terminally ill patients end their lives with assistance from physicians. Oregon was the first state to legalize medical-aid-in-dying in 1997. It became the focus of the debate on right-to-die laws in 2015, when Brittany Maynard, a 29-year-old resident diagnosed with an incurable brain cancer, moved to Oregon from California so she could legally end her life.